In an era where it’s possible to track a stolen Macbook Pro at the click of a button, it seems ludicrous to imagine an entire airplane disappearing. Yet, that’s exactly what happened this year, twice, when Malaysia Airlines Flight 370 mysteriously vanished in March, followed by a similar disappearing act on the part of AirAsia QZ8501 on last Sunday 2014. And, thanks to the outdated technology we use to track aircraft, it’s an event that could happen again. The next time you’re on a flight over the ocean, look down. There’s a high probability that nobody knows where you are. If that concerns you, it should, but it doesn’t seem to bother any of the regulatory agencies responsible for the safety of the over three billion passengers who board airliners every year. Nor does it upset airlines. Despite the fact that some of the technology used for tracking and monitoring planes dates to the 1930s, regulators and airlines have been slow to adopt alternative technologies, even though they’re available. In 2015, we may be doomed to repeat the problems of 2014, unless we rethink the way we monitor air traffic over the world’s oceans. You might think that airline tracking relies on a highly sophisticated series of satellites and GPS, but you’re actually wrong. Planes are tracked via radar, an old but still highly effective method of keeping track of large objects in the sky, but it has some flaws, even with the use of a combination of both primary and secondary radar systems. Air traffic control towers and military installations start by using primary radar, which detects objects in range by reading reflected radio signals, to track the movement of aircraft: Think of the classic cockpit green screen with approaching fighter jets in an action movie. Primary radar works whether pilots want it to or not: It’s based entirely on an external radar installation. Unless the radar is turned off, it’ll continue to function, although poor weather can cause problems, and eventually, the curvature of the Earth makes it impossible to pick up signals (a radar installation at San Francisco International, for example, can’t detect a plane taking off from Tokyo Narita). Secondary radar requires interaction with a transponder in an aircraft, which can be deactivated by pilots if they want to remain undetected, as, for example, if a plane is hijacked. The transponder contains details about the plane, the flight, and other useful data for air traffic control to help them track the movements of specific flights and plan runway allocations, clearances, and other business accordingly. At about 150 miles out to sea, civilian radar on shore can’t pick up planes anymore. They’re only visible on ship-mounted radar, which is entirely dependent on where ships happen to be at any given point in time, and such radar installations are primarily used by the military. If a satellite happens to be passing overhead and snapping photos at the right moment, it can provide a clue, but satellites don’t simultaneously cover the entire globe, even if NSA spying sometimes make this seem like a distinct possibility. If pilots run into trouble when they’re over the ocean, they can only call home via high frequency radio. 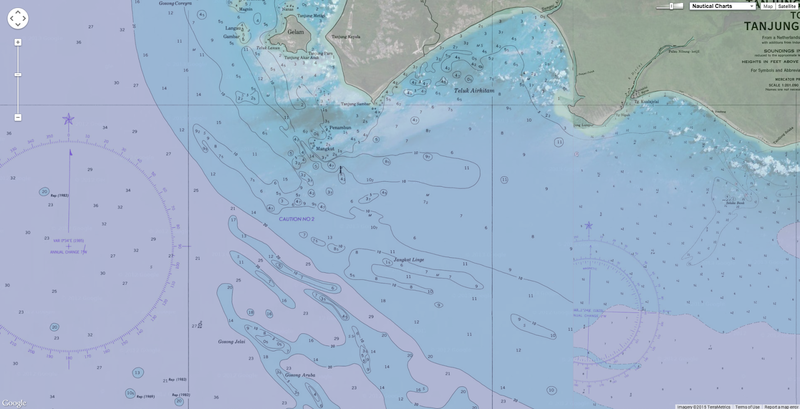 Underwater search area with dimension of 57x10 nautical miles established. Five ships are tasked, says Malaysia's chief of navy. Many aircraft vehicles are actually equipped with GPS to help pilots (like Google Maps, for airliners), but that data is not sent to air traffic control. It's possible to uplink and transmit that data, but the cost would be extremely high. Planes may periodically ping satellites to determine their positions, but these contacts are few and far between, which is how a plane can go missing with scant information about where it went. Theoretically, a new navigation system called Automatic Dependent Surveillance Broadcast (ADS-B) will help replace radar as the primary tracking and navigation tool for aircraft. It uses interactions with other aircraft, ground installations, and satellites to provide more information about aircraft and flight paths, but it, like radar, is far less effective over the ocean, unless airlines want to use expensive satellite uplinks. Another possible tool is Aircraft Communications Addressing and Reporting System (ACARS), an innovative system used by many airlines to collect in-flight data about their planes. The system was primarily designed to streamline service and maintenance, collecting information that could be used to determine when and how planes need to be serviced. The system can also communicate with the ground about critical fixes that need to be addressed, allowing technicians to be waiting on the runway with supplies to reduce the turnaround time at airports. ACARS was actually instrumental in locating Air France 447, lost in the Atlantic in 2009, and even with the technology, it took two years to find the black boxes. The system, designed primarily as an efficiency tool, is found on approximately 90 percent of U.S. planes, but the same does not hold true around the world. 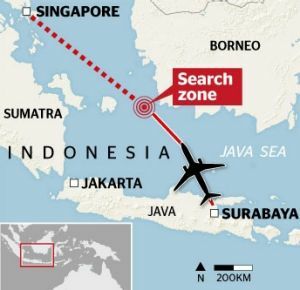 Early reporting suggests the aircraft was equipped with ACARS, although AirAsia Indonesia had not released the type and scope of data collected by press time. In the United States, the FAA is in the process of working on a satellite-based tracking and navigation known as Next Gen. The advanced technology reflects the future of air traffic, but unfortunately, it’s a number of years away, and it’s a voluntary domestic navigation system, not a global one. 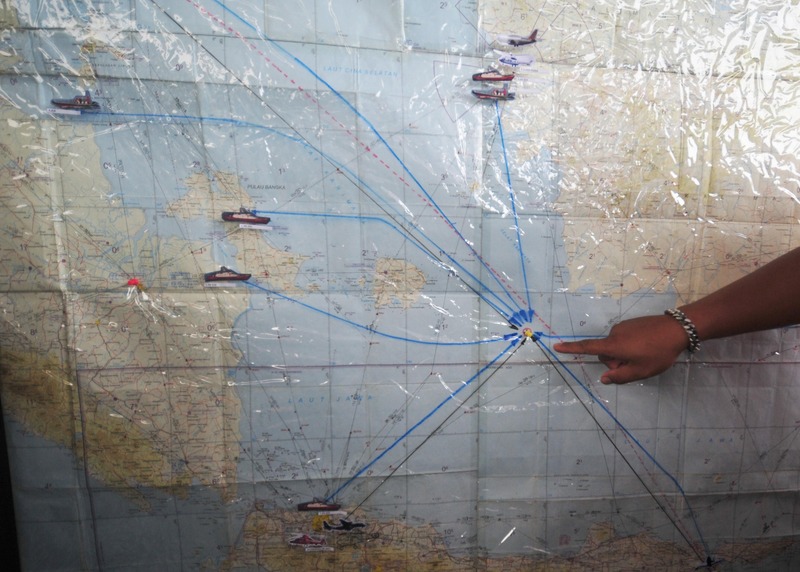 For Next Gen to be effective for activities like tracking missing flights over the ocean, it would need to be both global and required for all carriers under international regulations. Meanwhile, “black boxes” (they’re actually bright orange) might seem like a good way to find a plane, but they don’t emit GPS signals. Instead, they use ultrasound, which can only be picked up in limited depths. If a plane goes down in deep water, the black boxes are virtually impossible to locate, which makes it difficult to determine what went wrong, and where. If you think black boxes should be continuously transmitting data throughout a flight, you’re not alone; at the Guardian, Stephen Trimble pointed out that they’re ridiculously outdated, in part because planes have the equivalent of dialup uplink speeds in a time of broadband. In this case, the searchers may be fortunate. The plane was on a flight path in a high-traffic area with much more substantial radar coverage, flying over shallower waters, which will make it easier to locate, and once the remains are located, investigators can start exploring the sequence of events that caused the crash. Shortly before the plane stopped communicating, the pilot had requested permission to increase altitude because of weather, a marked difference from the Malaysia Airlines flight, where the last contact didn’t indicate that anything was amiss. So far, the circumstances look much similar to those of a flight that crashed over the summer, when bad weather forced a pilot to request changes to the flight plan, but the plane still went down; even a talented pilot can’t necessarily beat out the elements. What would be the best way to ensure that all planes, no matter which carrier they flew under, could be located in the wake of disasters? One option is to require them to carry emergency transmitters, which is already the case in the United States. As a failsafe, carriers could be required to keep ADS-B and ACARS active at all times; the data they collect can be processed on board to transmit only the most essential information, thereby limiting the amount of bandwidth it takes up. A better satellite network, like the one already in place to provide Internet and phone connectivity on select flights, could also effectively reverse-engineered to find flights, using tools like phone GPS to determine where a plane was last spotted, so to speak. Likewise, global adoption of Next Gen could play a key role in offering realtime data about flight paths that could help pinpoint planes in trouble. Finding the remains of downed airplanes is important for determining what went wrong. Air travel still remains, statistically, the safest mode of travel, but any plane crash is a crash too many. Even in the case of airlines and jets with excellent safety records, as was the case here, it’s important to be asking sharp questions about airliner safety, and airlines must cooperate with regulatory authorities to develop effective monitoring technology. Hand in hand with updates to the tracking systems we use for planes over the ocean, it’s important to also be pushing for better routine fleet maintenance, stricter standards for aircraft inspection and retirement, tighter regulations on working hours for pilots and crew, and other measures that will improve safety. Perhaps AirAsia QZ8501 was fated to fall out of the sky. Maybe it was pilot error, like poor judgment in the advance of an oncoming storm. an hour after #QZ8501 went missing over Java Sea. Or maybe something went terribly wrong, and it could have been prevented. With growing numbers of passengers lining up for budget airlines, it’s important to find out if corners are being cut to bring costs down. We may never know what happened to the Malaysia and AirAsia planes, and if that's the case, we need to ask ourselves why. 9News : Eighty years after Amelia Earhart went missing, how can we still be losing planes? 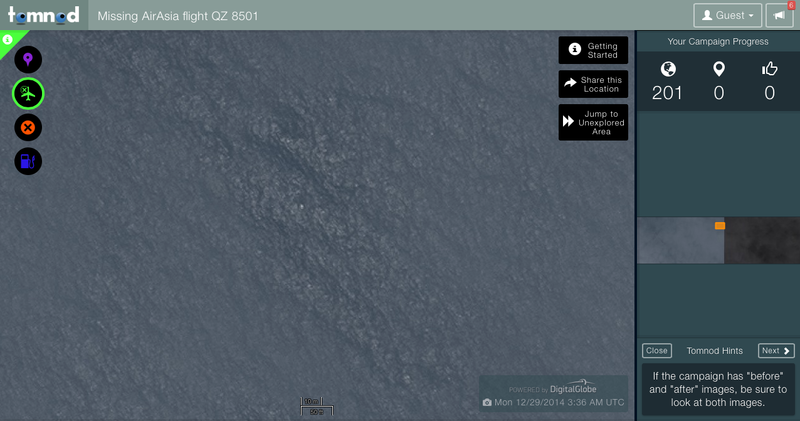 RedOrbit : Does missing AirAsia plane highlight need for improved tracking technology? BBC : How do you track a plane?